24-hour forecast: Sunny with some cloudy spells today and cloudy at times tonight. A few showers and isolated thunderstorms will occur mostly over the sea and some coastal areas this morning and tonight and over inland areas this afternoon. General Outlook: For Thursday and Thursday night is for some cloudy spells with a few showers, periods of rain and isolated thunderstorms over most areas. Today N-NE 5-10 kts Light Chop 1-3 ft A FEW SHOWERS AND ISOLATED THUNDERSTORMS. Tonight N-NE 5-10 kts Light Chop 1-3 ft A FEW SHOWERS AND ISOLATED THUNDERSTORMS MOSTLY SOUTH. 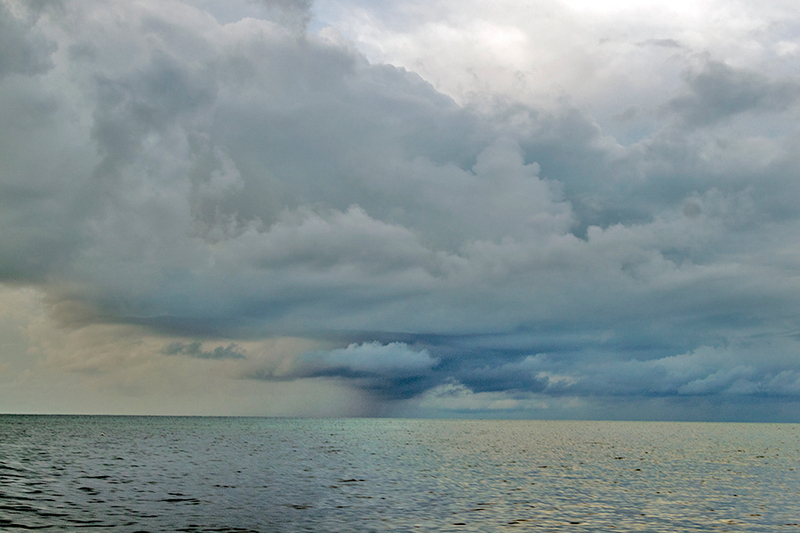 Tomorrow NE-E 5-15 kts Light Chop 1-3 ft A FEW SHOWERS, PERIODS OF RAIN AND ISOLATED THUNDERSTORMS. Outlook NE-E 5-15 kts Light Chop 1-3 ft A FEW SHOWERS AND ISOLATED THUNDERSTORMS MOSTLY SOUTH. 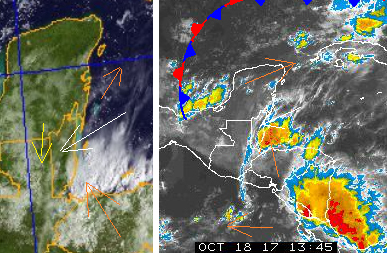 That serious ITCZ swell-up near Panama collapsed yesterday, but a new area has developed. Looks as if this is the time of the year, when there are much ITCZ activity near Panama. It is possible and has happened before, that if the winds are in certain directions, then storms can rapidly develop in that area, so we must keep watching. 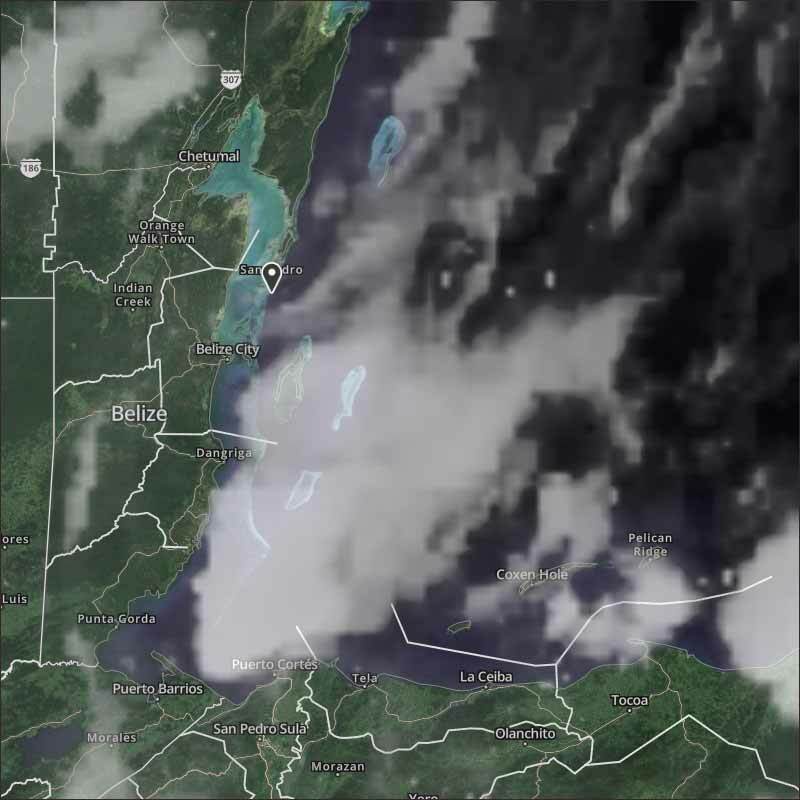 That cold air that came down over the Gulf is effecting our weather, and conflicting with the warmer air from the south, there are several swell-ups just off the Belize coast, so there is rain, presently mainly out at sea. Today started of sunny, but is now getting heavy overcast, most of the rain may stay out at sea.